Personally, I’d love to take another photo from that bridge between the two spires of the cathedral. Unfortunately, it is only open for construction workers. 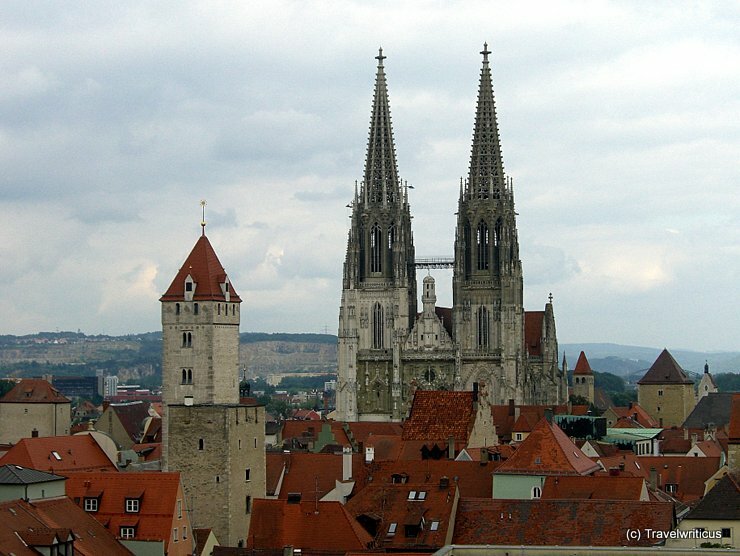 This entry was posted in Churches, Towers and tagged Bavaria, Germany, Regensburg, Upper Palatinate by Travelwriticus. Bookmark the permalink.